2. Made of oxford cloth and Breathable & Comfortable mesh material to make maximum airflow. 3. Zips both on the bottom and the top for convenient design. Can be used indoors & outdoors. Looking for a great pet playpen that your puppies can have fun in a safe and contained environment? 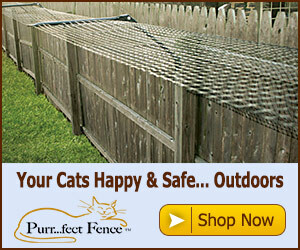 I guess you are gonna love this pet playpen. First , Let me start with the material and design of it first. It is made of oxford cloth of the body, and breathable mesh materials in the windows. So you can have a look at your cute babies through the windows. There are two openings, both sides can be opened by zippers. And you can unzip the bottom of the cage- when you take your babies outside in the grass. Instruction included, it is more convenience that you can install and fold it easily and quickly. Open 8 Panel to the full and you will see it works. When you open it extremely, it is big enough that can not dump no matter what your babies do. Let me talk about the sizes and colors. When it is folded, the size is 23 * 18 * 2, and 45″ (Circumference) x 23″ (Height) after it open. And 2 nice color here to choose. Any questions, please leave your messages, we will reply within 24 hour. If you are satisfied with it, please try to give 5 stars Positive Feedback, we will appreciate your encouragement. If you are not satisfied, before you leave the Negative or Neutral feedback, please contact us and let me know, we will solve the problem until you are satisfied. At Last, please check the size and color before you confirm the order and you can ask for us. Thanks for coming to EXPAWLORER and enjoy your shopping. 5. Perfect room for cats and dogs playing and easy to reach in and interact with your pet.